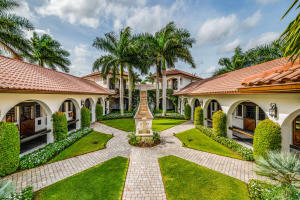 Grand Prix Farms at the Equestrian Club is a gated community of beautiful equestrian farms and luxury estates located in Wellington Florida. The estates in Grand Prix Farms range in size from 2.5 acres to a little under 6 acres and most of these exquisite estates offer multi-stall barns, feed and storage rooms, beautiful riding areas, bridle trails that lead to equestrian events, lush paddocks, irrigated riding rings, on-site tack rooms and all the top of the line amenities an equine aficionado could imagine. The Village of Wellington is a world-renown equestrian community that features 57 miles of trails, beautiful year- round weather and hosts the Winter Equestrian Festival which is the largest horse show in the world. Wellington balances its commitment to equestrian activities while maintaining one of the best family atmospheres in the country. Wellington is home to some of the highest rated schools in the state and has a heavy focus on recreation and overall health. Wellington was recognized by Money Magazine as one of the “Top 100 Places to Live” in the Unites States and its residents cant disagree. 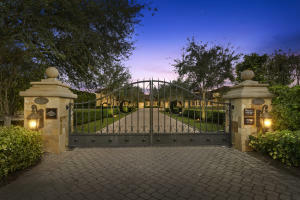 Information in regards to Wellington real estate and Grand Prix Farms homes for sale or other listings may have come from a cooperateive data exchange service. All rights reserved. Information deemed to be reliable but not guaranteed. The data relating to real estate for sale on this website comes in part from a cooperative data exchange program of the multiple listing service (MLS) in which this real estate firm (Broker) participates. Listing broker has attempted to offer accurate data, but buyers are advised to confirm all items. 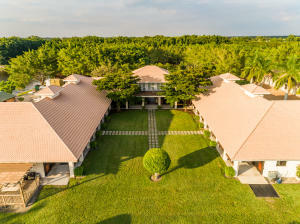 We provide all information about Wellington homes for sale and Grand Prix Farms real estate or other listings as is with absolutely no warranties. This site will be monitored for 'scraping' and any use of search facilities of data on the site other than by a consumer looking to purchase real estate, is prohibited. Feel free to contact our agents to find a great Grand Prix Farms Wellington specialist. Grand Prix Farms in Wellington is really a wonderful location. The Wellington location is amazing. But, if this isn't the community for you, you might like one of the other local communities like Oakmont Estates or Versailles or Lakefield that are located here as well.